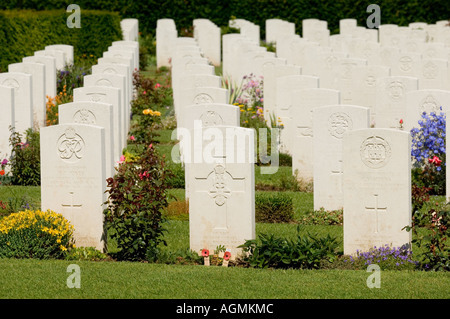 Graves in the Bayeux War Cemetery - The British War Cemetery at Bayeux, Normandy, France. 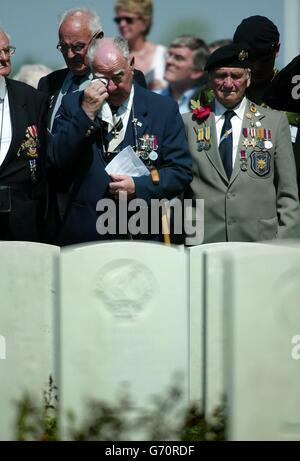 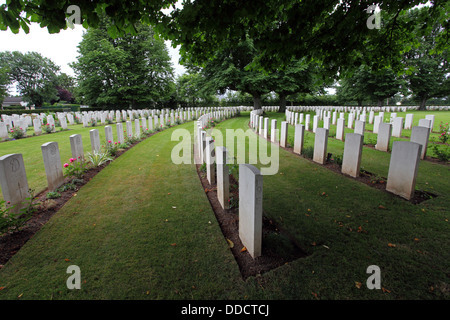 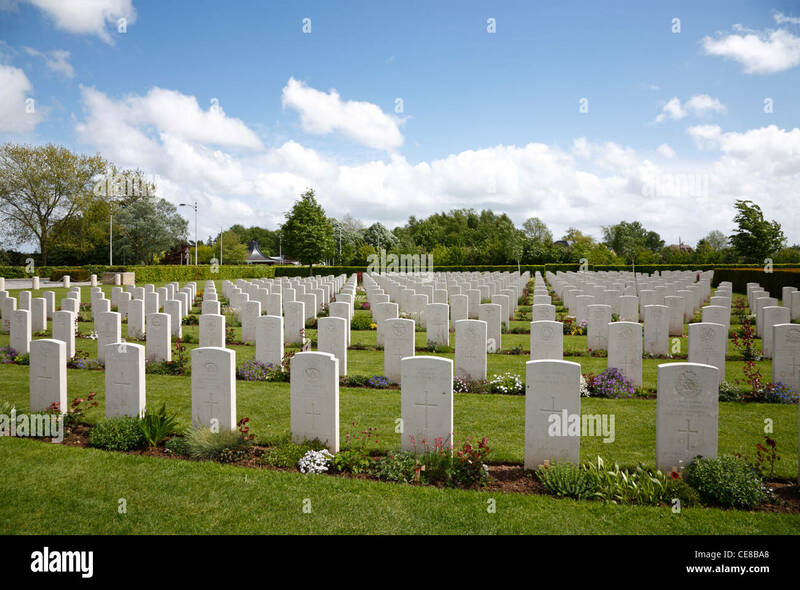 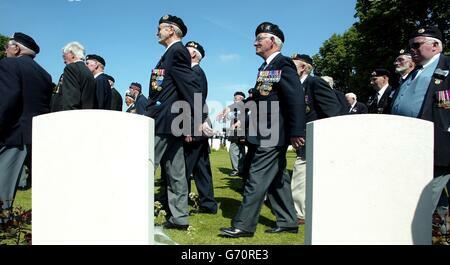 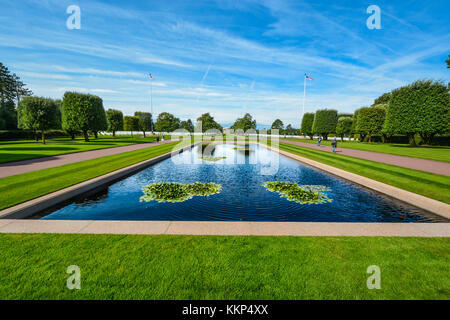 Commonwealth war graves. 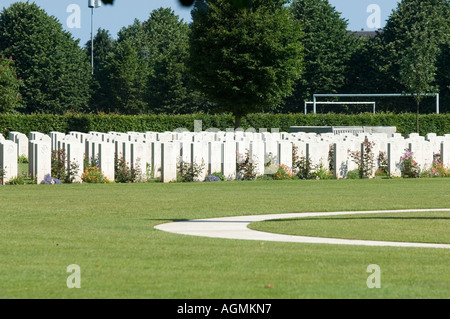 The Bayeux military cemetery. 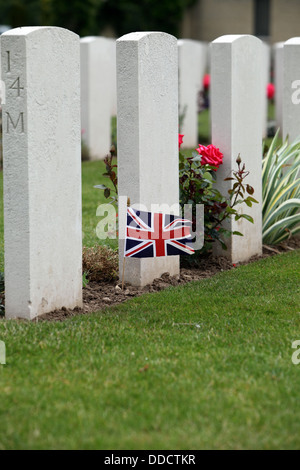 Graves and gravestones in the Bayeux War Cemetery - The British War Cemetery at Bayeux, Normandy, France The Bayeux War Cemetery is the largest Commonwealth Cemetery of WWII in France and contains burials brought in from the surrounding districts and from hospitals that were located nearby. 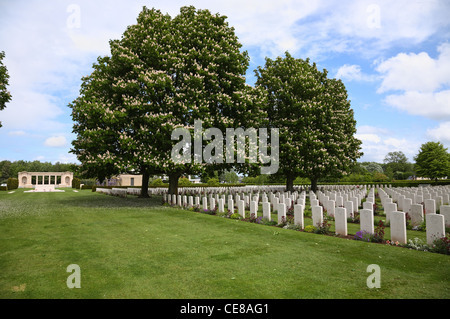 Memorial and graves under blooming chestnut trees in The Bayeux War Cemetery - The British War Cemetery at Bayeux, Normandy. 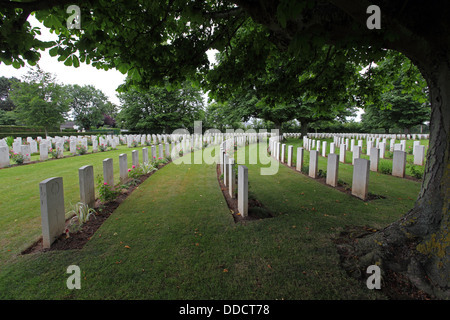 Bayeux military cemetery. 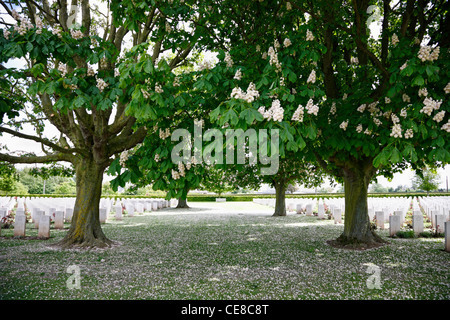 Graves under blooming chestnut trees at Bayeux War Cemetery - The British War Cemetery at Bayeux, Normandy, France. 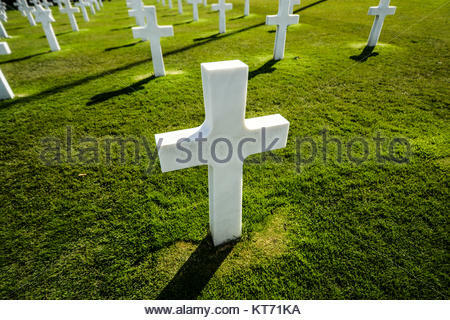 Grass covered in white petals.